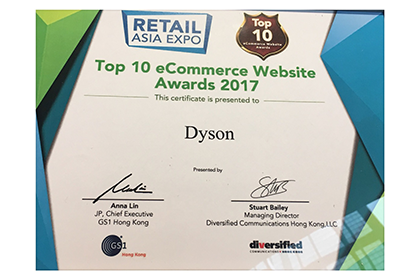 ​It’s our great Honours to be acknowledged ​that Dyson e-commerce website win the “Top 10 eCommerce Website Awards 2017” for the e-shop shop.dyson.hk . The Top 10 eCommerce Website Awards were recognized and rewarded for delivering continuous and exemplary standards in promoting user experience and business sales via digital portals or websites. 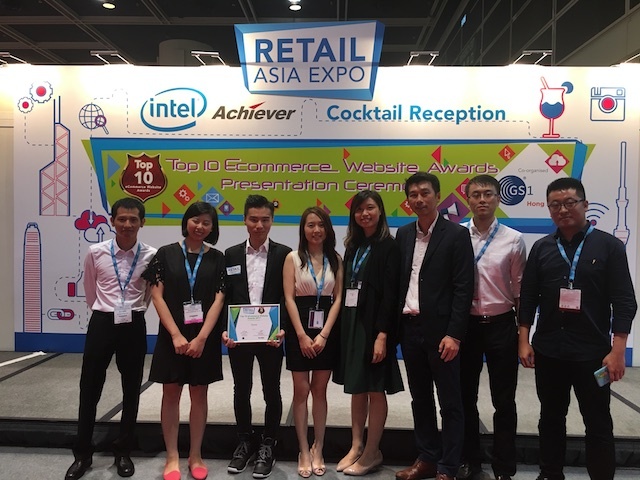 The awards recognise websites that have raised the bar for user experience and achieved phenomenal sales growth and is the most prestigious event for Hong Kong’s retail industry organised jointly between GS1 Hong Kong and Retail Asia Expo. The awards will be announced and awarded at the Retail Asia Expo 2017.